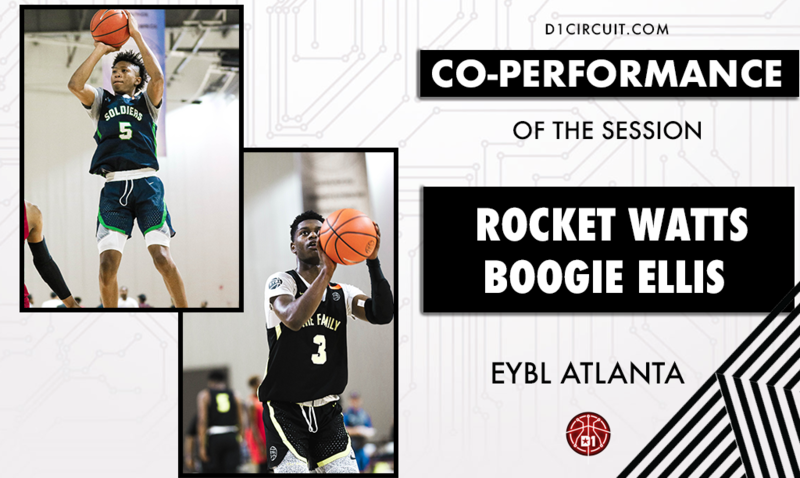 The Soldiers' Boogie Ellis and The Family Detroit's Rocket Watts both went crazy offensively in wins over the Nike Phamily at EYBL Atlanta. This was originally up for a vote, but since the performances were so similar, we said the heck with it and awarded both performances. Combined, Watts and Ellis scored 86 points and hit 15 three-pointers in 57 minutes. Watts scored 20 points in the first nine minutes. Ellis played 25 of 32 minutes, scoring roughly 1.72 points per minute. For what it's worth, Mr. Watts won the 'people's vote' with 59%. Scroll down to vote & to see Ellis & Watts' individual highlights. 2019 Nike EYBL Preview: Interview with Adrian Griffin Jr.
Take an inside look at Team Durant's 16 & 17U's first official practice. Kentucky Commit Tyrese Maxey and Cole Anthony Match-Up @ The Peach Jam!